The Philadelphia Flyers finished 2015-2016 with a 41-27-14 record, putting them fifth in the tough Metropolitan Division. They went 16-6-3 in their final 25 games and snagged the second wild card spot in the Eastern Conference, lining them up against the Washington Capitals in the first round of the playoffs. They lost in six games. General manager Ron Hextall was relatively quiet over the summer and seems adamant that growth from within is the path to victory. They signed free agents Dale Weise and Boyd Gordon, plus they locked up restricted free agent Brayden Schenn to a four-year deal to avoid arbitration. Forward Sam Gagner was lost to free agency and signed with the Columbus Blue Jackets and Ryan White signed with Arizona. The issue with the Flyers is offence, as their forwards averaged just 2.07 goals per game – 24th in the National Hockey League. They haven’t done much to address the issue, which means more pressure will be put on the existing group to put pucks in the net. 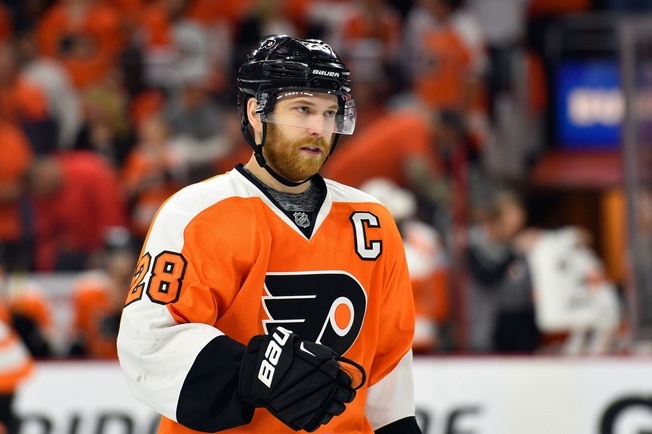 Claude Giroux has the most points in the NHL since 2010-2011 and is a top choice for fantasy owners. He had 67 points in 78 games last season and six of his 22 goals came on the power play. He averaged 20:32 of ice time per game, registered 241 shots on goal and lined up five game-winners. The 28-year-old is one of the most creative players in the NHL and can play any forward position without missing a beat. Schenn seems primed to earn every cent of his new deal. The 25-year-old from Saskatoon had 59 points in 80 games, including 26 goals. He scored 11 goals on the power play and plays well with Giroux and top line winger Wayne Simmonds. Schenn’s game can come apart in the corners and injuries can be a problem, but he’s a quick and dynamic forward. Scarborough’s Simmonds had a tremendous year, with 60 points in 81 games. 13 of his 32 goals came on the power play and he averaged 17:14 of ice time a game. He registered 229 shots on goal and always seems in position to score. Simmonds never quits and has one of the best work rates in the NHL, even if consistency issues can dog him. 27-year-old Jakub Voracek slipped offensively, with a 55-point performance last season. He had 81 points in 2014-2015 and seemed ready to emerge, but the Czech winger suffered a foot injury in February and couldn’t get his engine going. Centre Sean Couturier is worth a look, as the 23-year-old put up a solid 39 points last season and could be set to develop into the bona fide second line pivot. Philly’s defence is the same and that may or may not be a good thing. The group allowed 30.7 shots against per game and could stand to tighten up. That starts with Mark Streit, who had 23 points in 62 games and moves the puck well. He averaged nearly 22 minutes of ice time a game last season, but he can make mistakes in his own end. Shayne Gostisbehere had an exceptional year, with 46 points in 64 games. That gave him the highest points-per-game average by a rookie blueliner since Vladimir Malakhov in the early 1990s. Gostisbehere saw action on the power play, where he put up 22 points as part of the first unit. He averaged 20:05 of ice time a game and should be set for a tremendous season. Michael Del Zotto hasn’t played since February thanks to a wrist injury, but the 26-year-old is a very good skater and can slip into the power play. He had 13 points in 52 games last season and averaged 23:24 of ice time per game. Radko Gudas polishes off the top four and delivers a heavy-hitting style. He won’t put up many points, but the Czech defenceman knows how to punish the opposition. The Flyers received steady goaltending from the tandem of Michal Neuvirth and Steve Mason and that matters, especially considering how many shots both netminders saw. Philly posted the second-highest even-strength save percentage in the league, which is no small feat. Neuvirth was a big part of that, with a .924 save percentage and a 2.27 goals against average. But it was Mason who lit it up down the stretch. He started 16 of 17 games from March 5 to April 9 and went 10-4-3. He was 23-19-10 for the season, with a .918 save percentage and a 2.51 goals against average. Things tumbled apart in the post-season, where he dropped three games and lost focus. The Flyers have been banking on an extensive prospect pool to bolster the blueline and the time may have finally come for the strategy to pay dividends. Hextall used three first-round picks on defencemen in 2013, 2014 and 2015, which shows the organization’s interest in building from the back. At the top of the list is Ivan Provorov. The 19-year-old spent last season in Brandon and could return there again, as the Flyers don’t like to rush players to the big leagues. Travis Sanheim is another quality player in the pipeline. The 20-year-old was fourth among WHL defencemen in points last season, where he put up 68 points in 52 games. He headed to Lehigh Valley in the AHL for a brief stint and could be ready to step into a supplementary role with the Flyers. With some top-tier defencemen to come and reliable goaltending to hold things down, there’s a lot to like about the Flyers’ defensive game plan. Offensively, it’s a different story and one still wonders where the goals will come from. Considering the tough Metropolitan Division, the Flyers will come up short if they can’t fuel a solid attack.